Start your adventure in Singapore staying at vibrant Clarke Quay, before heading to Malaysia where you’ll split your time between the islands of Langkawi and Penang, with a week in each. On arrival, you'll be met at the airport and transferred to the Park Hotel Clarke Quay for a three night stay. Our stopovers to Singapore are extremely flexible so if you’d prefer a shorter or longer stay just ask! Spend the next few days exploring Singapore. A great place to start your exploration of Singapore is at the National Gallery of the city, where a rooftop viewing platform will give you a great view across the Padang towards the city centre - a great way to get your bearings. Transfer back to Singapore airport for your onward flight to Langkawi. 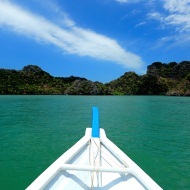 On arrival you’ll be met and transferred to the Berjaya Langkawi Resort for a seven night stay. A wide range of hotels is available and durations are flexible, so you can stay for as long as you wish. Transfer back to Langkawi airport for your onward flight to Penang. On arrival you’ll be met and transferred to the Holiday Inn Resort Penang for a seven night stay. A wide range of hotels is available and durations are flexible, so you can stay for as long as you wish.